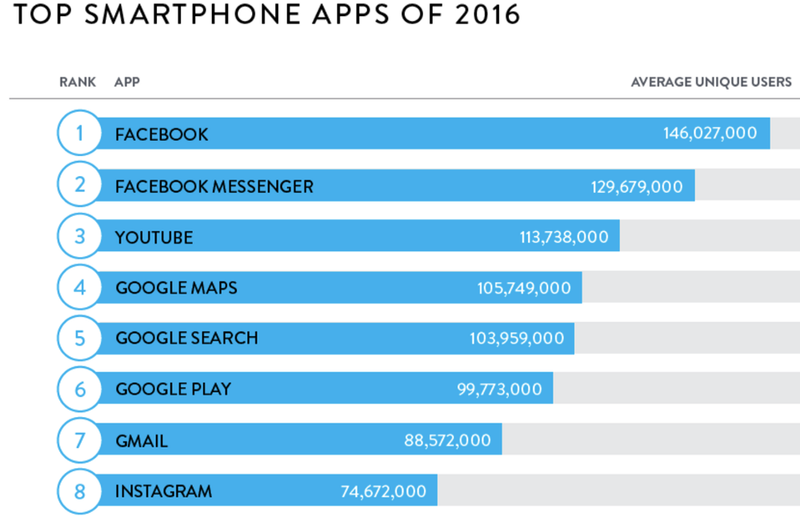 The top 8 apps of 2016, and their number of monthly active users. Data and chart by Nielsen. Today Nielsen released their report about the most widely used mobile apps in 2016. The top 8 apps were all owned by just two corporations: Google and Facebook. Google acquired what would become Google Maps back in 2004. Google acquired YouTube in 2006. Facebook acquired Beluga in 2011, which it turned into Facebook Messenger. Facebook acquired Instagram in 2012. And even though 88% of Americans now have a smartphone, they’ve basically stopped downloading new apps. Chart by Recode. Data by Comscore. In other words, mobile apps seem to be turning into a winner-takes-all market where it’s difficult for newcomers to get any traction at all. How did the mobile app marketplace become so stagnant? One reason for all this consolidation is that mobile app stores make it hard for people to discover new apps. Even if your friend tells you about a specific app and you know exactly what you’re searching for, you still dig for it among knock-off apps and outright fakes. Another reason people aren’t installing new apps is that installing a new app takes time and counts against your data plan. It’s easier to just stay in Facebook’s app and do things there. As a result, 1.65 billion people use Facebook each month for an average of 50 minutes each day. And Facebook usage is steadily growing, cannibalizing the use of other apps. 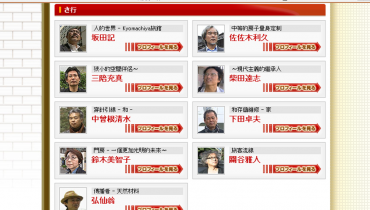 It’s hard to find examples of break-out apps from the past few years. The best example of a disruptive newcomer not backed by a major corporation is Snapchat, who recently passed Twitter in daily usage. Facebook tried to acquire Snapchat back in 2014, but Snapchat turned down their $3 billion offer. I don’t know of many other fledgling startups with the guts to resist an offer like that. Groupon turned down a $6 billion acquisition offer from Google in 2012, and as a result Groupon’s board fired its CEO less than a year later. What about apps from other big corporations? You might think that Apple would have the most popular apps. After all, the iPhone is half the US smartphone market. 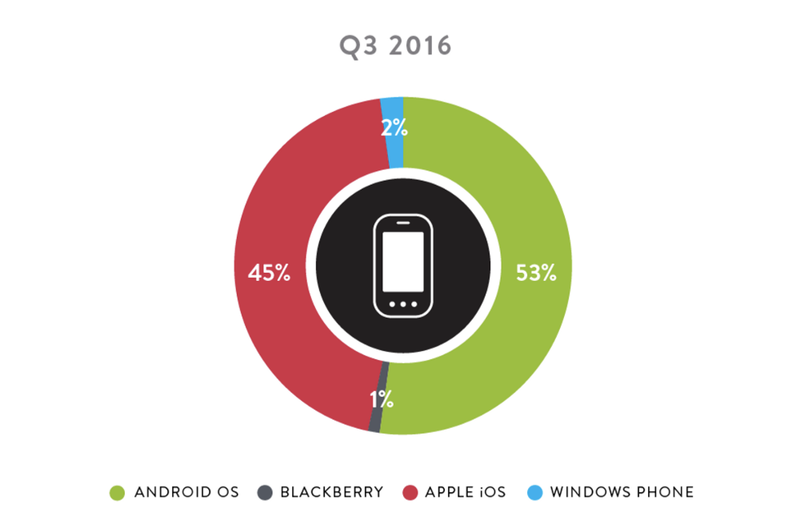 US Smartphone operating systems by market share in 2016. Data and chart by Nielsen. But the only Apple app that cracked Nielsen’s top 10 was Apple Music, which came out this summer after a heavy marketing campaign. In terms of people paying to continue using it after their trial period ended, Apple Music’s numbers aren’t looking so great. It’s unlikely that Apple Music will be a top app next year. Apple has plenty successful apps, though many of them are popular due to being default apps within Apple’s iOS and tightly integrated with tools like Siri. But none of these apps approach the popularity of Google and Facebook’s flagship apps. Other apps on your phone probably include utility apps that serve as an entry point into services, such as Amazon, Netflix, and Uber. You may also have a few apps from banks, airlines, grocery stores, and other traditional businesses that incentivize you to download their apps. And that’s really about it for mobile apps. But wait. We’re forgetting the real cash cow of the Google and Apple app stores. 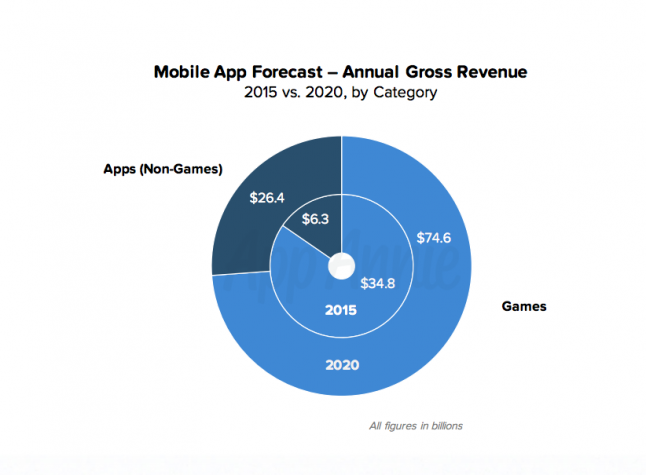 Mobile games dominate app store revenue. They will probably continue to do so. But like non-game apps, games are also a winner-takes-all proposition. The average mobile game only grosses about $3,000 — not nearly enough to offset its development costs. What about the runaway successes? What about the must-have game of 2016, Pokémon Go? Well, Pokémon Go is built on top of intellectual property owned by Nintendo — a 127 year old multinational corporation that is decidedly not an indie game studio. And the Pokémon Go game itself was developed Niantic, which is a subsidiary of… you guessed it — Google! That’s right — even if Pokémon Go had been popular enough to rank as a top app in 2016, it wouldn’t change this basic reality: Google and Facebook own the mobile app industry. OK. So are mobile apps over then? I’m going to stop a bit shy of saying that native apps are doomed. If you happen to be in charge of a large corporation with millions of customers, it’s probably still worth investing in building good mobile apps. 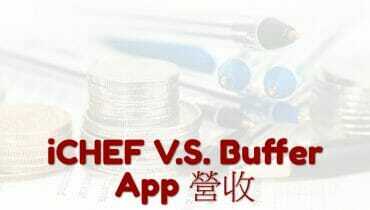 You can get at least some of your customers to use these apps, and they may derive enough value to justify the effort. But if you’re a startup or a developer hoping to actually build a user base and make money, I would recommend proceeding into mobile app development with extreme caution. The web is a cheaper and easier place to build products and attract users. It’s also a place where you won’t live and die by the whims of Apple and Google’s app stores. Even if the two remaining mobile app ecosystems — iOS and Android — have indeed matured past the point of allowing new viable mobile apps, I wouldn’t worry too much. Smart phones were just one frontier to be pioneered. 2017 may see the emergence of a real demand for virtual reality apps. And Amazon sold millions of Echo devices this holiday season. 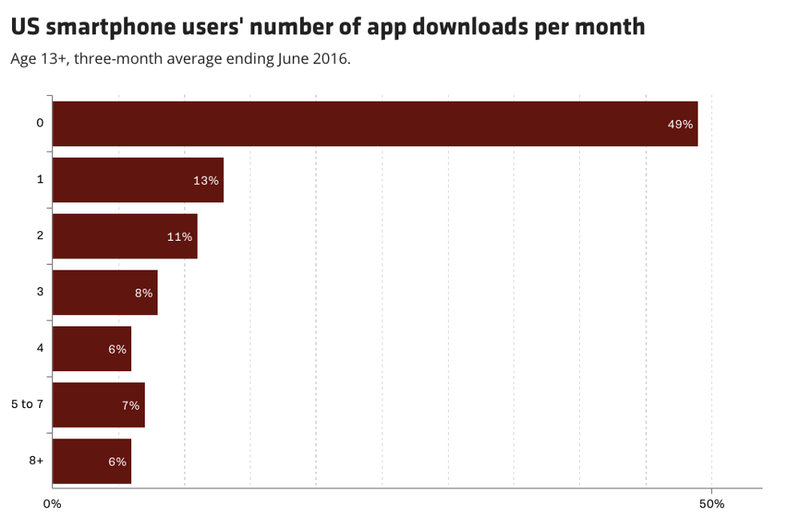 It may now have a big enough install base for apps using Alexa’s conversational interface to take off. There are always new frontiers to be explored by intrepid developers and entrepreneurs.